"Women belong In places where decisions are being made." quote by Ruth Bader Ginsburg! A woman's place is anywhere , where there are decisions being made! You heard it from the Notorious supreme court justice RBG herself! 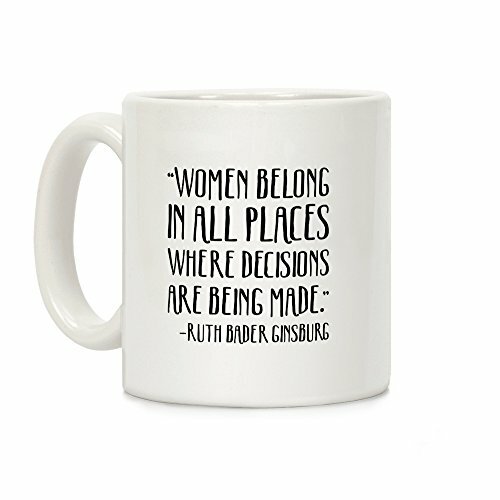 Show off your love for RBG with this awesome inspirational, feminist quote t coffee mug!